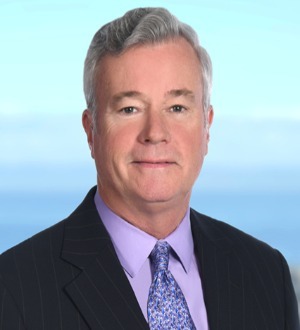 Bruce D. May is a founding partner of Stuart Kane LLP, and practices in the Employment group. Mr. May has represented employers for 38 years. Since 1979, he has devoted his practice exclusively to advising and defending companies of all sizes in every aspect of employment litigation and employment counseling. His expertise spans the entire spectrum of employment law from recruitment and hiring to termination and post-employment misconduct, and everything in between. Mr. May provides expert counseling to management on day-to-day personnel issues, with an emphasis on minimizing the risk of employee lawsuits while protecting the employer’s right to manage the workplace. But he is also a highly effective trial lawyer who defends employers in everything from small wage claims before the Labor Commissioner to multi-million class action lawsuits in state and federal court. This dual role as counselor and litigator has enabled Mr. May to master the best strategies for dealing with the toughest personnel issues. Knowing how a workplace dispute will play out at trial provides powerful insights in how to prevent that dispute from getting to court in the first place. Mr. May is also a highly effective public speaker and educator. He has developed an enlightening and entertaining workshop for management called Unlawful Harassment 101 which satisfies the requirements for anti-harassment training in California and which he has presented to hundreds of companies and trade groups over the years. He is also a regular speaker before the National Human Resources Association, OC Tech Alliance (formerly TechAmerica and the American Electronics Association), and numerous networking groups including Vistage and Trusted Advisors. Throughout his career, Mr. May has also devoted significant time to charitable and pro bono causes. Since 2010, he has served as President of the Board of Directors of Providence Speech and Hearing Center, a leading non-profit speech and hearing clinic based in Orange County.